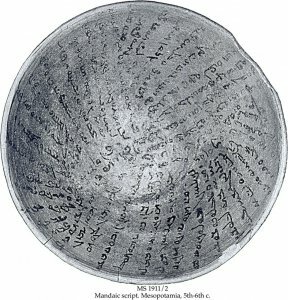 Description	 MS in Mandaic on clay, Iran/Mesopotamia/Syria/Jordan, 5th-7th c., 1 incantation bowl, 19, 0x7,5 cm, 44 lines in a careless cursive Mandaic script in 3 blocks at different angles radiating from the centre. 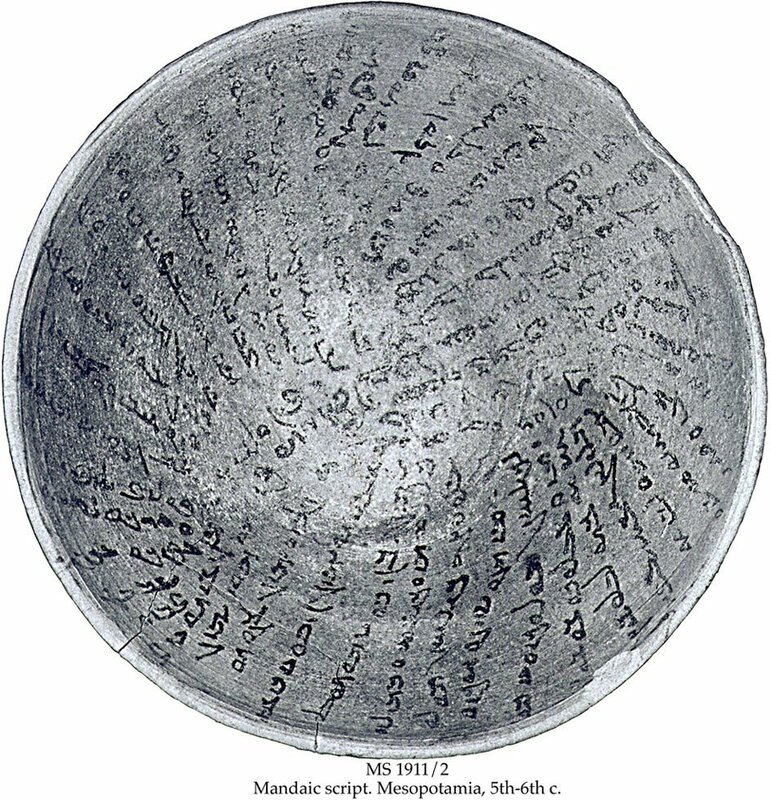 Commentary	 Incantation or magical bowls are also called demon traps. They were placed with the bottom up under the floors and thresholds of the houses in the Near East. The demons were then believed to be trapped inside the bowl with the magical spells written against them.